As it was originally conceived, the opera Ariadne was performed immediately after an adaptation of Molière’s Le bourgeois gentilhomme, written by Ariadne’s librettist Hugo von Hofmannsthal. But the original production was over six hours long, so Strauss and Hofmannsthal dropped the Molière play and wrote a prologue to set up the drama of what happens in the opera—that the opera company and the troupe of comedians are forced to perform simultaneously—and this revised version is what’s performed today. 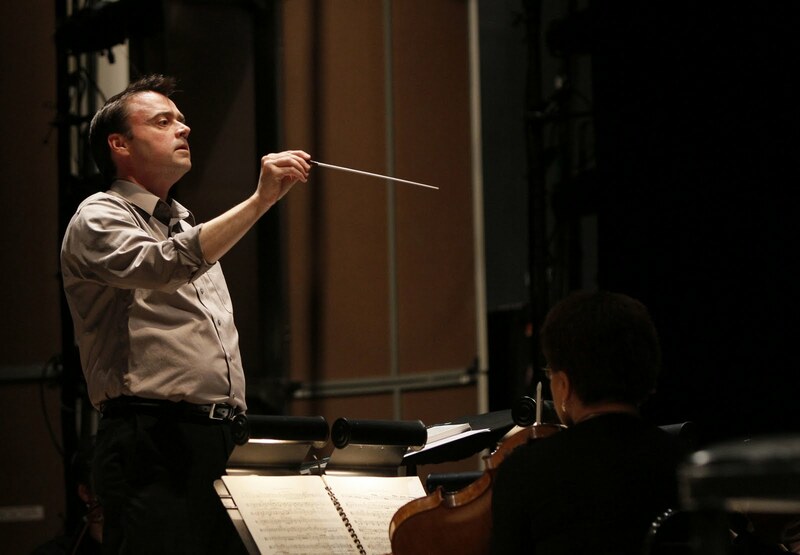 Photo: Brian Garman conducting the Ariadne orchestra © Rozarii Lynch photo; Marcy Stonikas, Jennifer Edwards, Jenni Bank, Vira Slywotzky, Joanna Foote, and members of the Ariadne orchestra © Chris Bennion photo.